One of Roland Garros’ must-see events is the Perrier Legends Trophy tournament, which brings together former champions who have gone down in tennis history on the courts at Porte d’Auteuil. 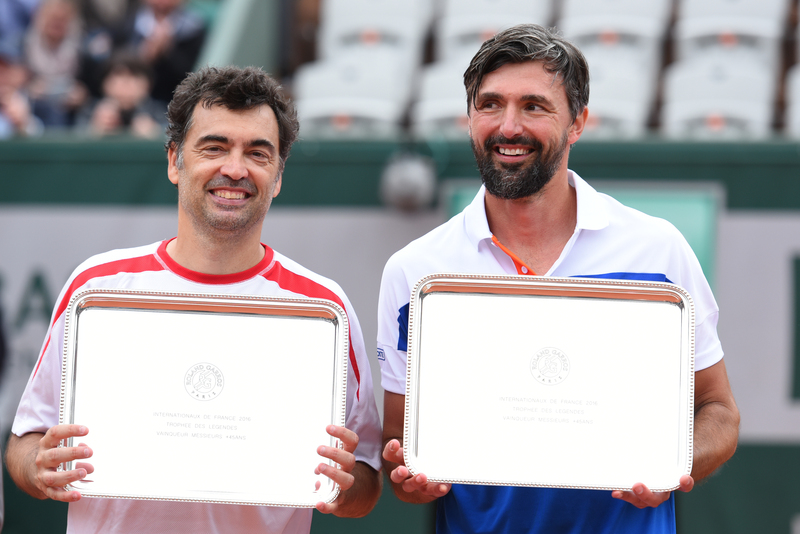 Following Martina Navratilova and Lindsay Davenport’s victory in the women’s draw, the two men’s finals (under-45s and over-45s) took place today on Suzanne-Lenglen court. 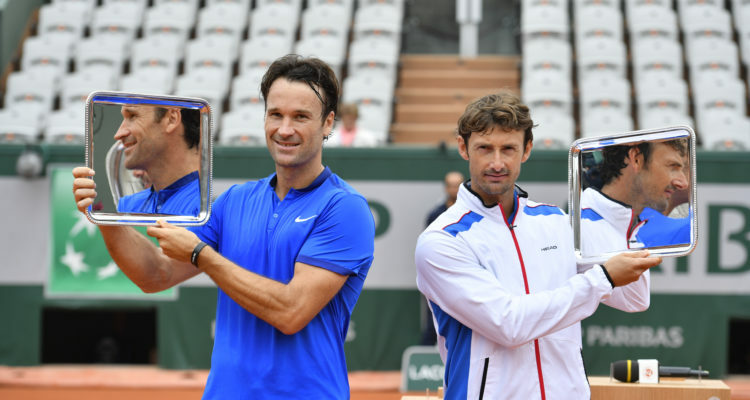 In the men’s draws, Juan Carlos Ferrero and Carlos Moya successfully defended their title in the under-45s category. The Spanish duo defeated the French pair Sébastien Grosjean and Fabrice Santoro 6-4, 6-4. In the over-45s, Sergi Bruguera and Goran Ivanisevic were successful in their final against Yannick Noah and Cedric Pioline 6-3, 7-6(2). This is the second win for Goran Ivanisevic in this competition. He won the title in the under-45s category in 2008 alongside Michael Stich. This entry was posted in Grand Slam, Roland Garros and tagged Carlos Moya, French Open, Goran Ivanisevic, Juan Carlos Ferrero, Perrier Legends Trophy, Roland Garros, Sergi Bruguera.